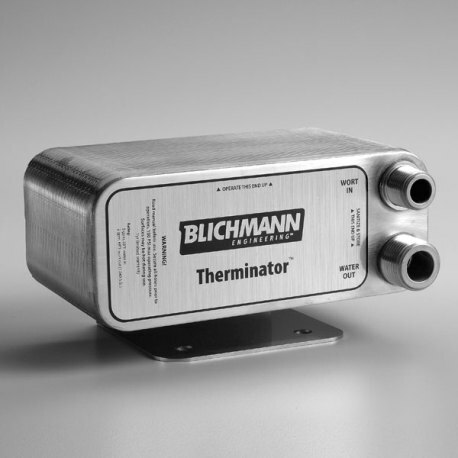 The Therminator is the result of the brilliant, beer-centric minds at Blichmann coming together to create the chiller that they all wanted to use to create their ideal beers, and is now available to you! A plate chiller that mimics chilling processes used in professional breweries, the Therminator has a number of features that make it the top chiller for home brewers. While it is possible to gravity feed the Therminator, using a brew pump like a Chugger Pump is recommended. High-quality 316 stainless steel plates and fittings. Unparallelled craftsmanship! These are brazen together with pure copper in an oxygen-free oven for superior, solid state construction that is 100% leak free, unlike competing gasketed units. The ability to chill quickly! 10 gallons of average gravity wort can be cooled from boiling to 68°F in 5 minutes using cooling water at 58°F and a flow rate of 5 gallons per minute. Extremely compact! Its size makes boiling to sanitize a snap, and high internal surface area due to the plate design aid in quick cooling. 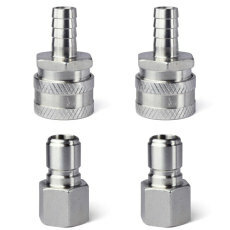 Easy-to-use and convenient fitting sizes! 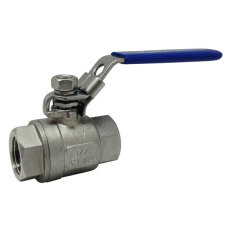 Water side has common hose connection sizes to easily hook up to garden hose fittings with no extra adapters required, and 1/2" male NPT fittings on the wort side are easy to sanitize and work with nearly all common hose-connector types. Low restriction means that the Therminator works well with both gravity-fed and pump driven systems alike! Cost-saving and environmentally-friendly! The Therminator uses the least amount of water of any chiller on the market while still delivering superior chilling power, saving you money and conserving water usage at the same time! Includes a heavy-duty stainless steel mounting bracket. Straight-through water connections prevent kinked hoses, and the unit is resistant to plugging. Because of low water usage, less ice is needed when pre-chilling cooling water in order to chill wort even cooler! This works wonders in the summer, in southern climates or when chilling to lager fermentation temperatures. Without a doubt, the Therminator is one of the best (if not THE best) wort chiller on the homebrew market. Get yours and experience its power and speed today! I tried my new therminator out last weekend. The outdoor temperature was 92 and I live BAMA! I used a submersible pump in an ice chest and 32 pounds of ice, about a 3.00 investment. This device took the beer from boiling to 65 degrees in a snap. I could not believe it. 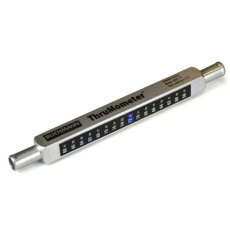 I got the backwash pipe too and the in line thermometer. All worked great. If you have a hopped up brew, you will want to figure a way to keep the hops in the pot and not in the lines. Love it, so much easier than a coil wort chiller. Just wish it came with its own hose and clamps. Other than that great product.